Tyson Foods, the largest meat producer in the United States, says it will now impose new guidelines for its pork suppliers following the release of undercover footage revealing disturbing acts of animal abuse. 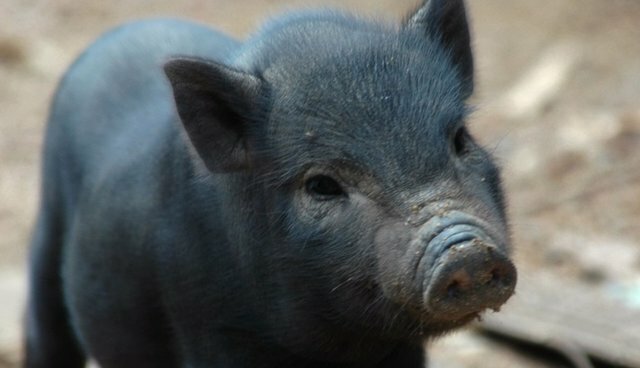 According to NBC News, which originally aired video of pigs and piglets being kicked, hit, and slammed onto the ground on a farm partnered with Tyson, the company will now require more humane treatment for pigs -- including providing them with larger cages, and insisting they use "pain mitigation" techniques during castration and tail docking. Also, Tyson asks that piglets no longer be killed with blunt force, a method the company insists "has been historically acceptable" but that must be altered due to pesky "customer expectation." Farms must install cameras as well to ensure proper procedure is in practice. "We're trying to balance the expectations of consumers with the realities of today's hog farming business," says a letter sent by Tyson to its farms. "We look forward to working with you on our current challenges." Mercy For Animals, the group responsible for the covertly acquired footage, says that Tyson's move towards more humane treatment for its pigs is a step in the right direction, and hopefully part of a growing trend in animal welfare standards in an industry riddled with abuses. "It's heartening that Tyson has finally begun to address the rampant and horrific cruelty uncovered at its factory farm facilities by Mercy For Animals," says Nathan Runkle, the group's executive director. "The announcement that Tyson is making significant animal welfare improvements, including urging its pork producers to move away from inherently cruel and restrictive gestation crates, signals an important new era and direction for the company."